If you’ve been following this blog, you’d probably know that I had experienced quality issues with my Lazer Corsica Z-Line convertible helmet (I’ve blogged about it here.) 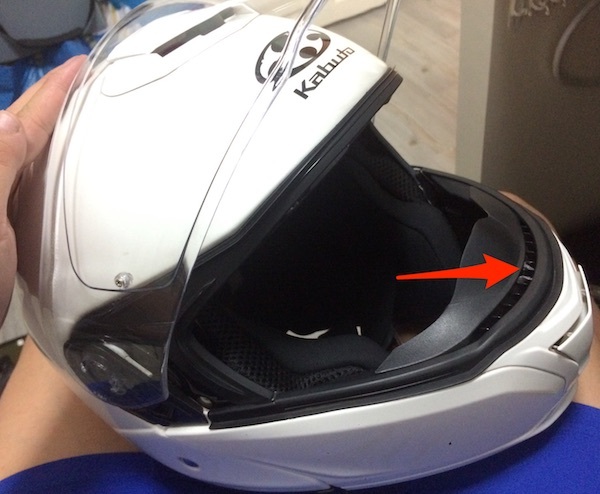 I brought it along on my 2-month tour in 2016, and during then, the synthetic leather started cracking and peeling, and one side of the visor fastener refused to open. The locking nut of the visor screw came loose, making it impossible to completely remove the visor. I contacted Lazer in Belgium and after a series of email exchanges, they eventually decided to get me a replacement helmet. I was told to head to Racing World, Lazer’s distributor in Singapore, to collect the replacement helmet. Although I had not purchased my Corsica helmet from them, the staff at Racing World still happily assisted with the exchange with no questions asked! Some months after the Lazer helmet exchange, I purchased a pair of Alpinestars AST-1 waterproof motorcycle touring pants at a sale from Racing World Singapore. Yes, I was given the opportunity to try out the different sizes available. In the fitting room, the Large size fitted me better than the XL one – which was a tad too loose around my waist. But when I got home, put it on, and tried sitting on my motorcycle, I immediately regretted the decision. The Large size was now a tad too tight around my bulging waist when seated down. Now, because this was a sale item, I had assumed that it was non-exchangeable, and listed it on Carousell for sale at a very slight loss (it was a brand new item, mind you.) Thankfully, a kind soul who responded to my Carousell ad nudged me to go ahead and ask Racing World if there were willing to do an exchange for a larger size. And so I did. To my very pleasant surprised, they were not only willing to do an exchange for me, but they did it happily too. Now THAT’S some after-sales service! Of course, I was informed by the staff that this would be a “one-time” exchange, and I will not be able to exchange it again if the XL size won’t fit. Thankfully, I didn’t have to, and am still using the AST-1 on some of my motorcycle rides till this day. I purchased my Kabuto Ibuki modular helmet from Racing World back in December last year, and have been very happy with it. Unfortunately, in the earlier part of this year, the visor tab broke after some normal use. For the record, the helmet has never been dropped nor subject to any abuse. And thus, I attributed it to a possible manufacturing defect. Broken visor tab on the Kabuto Ibuki modular helmet. Being only about 4-months old, I took it back to Racing World Singapore for a warranty repair. Initially, I was told that they have never come across such a failure on the Ibuki. “I don’t think this is covered under warranty.” the sales girl informed me. A couple of minutes later, I was informed that they have called up their Japanese (Kabuto?) supplier to discuss the matter. They (Kabuto?) were initially hesitant to categorize this as a manufacturing defect. However, the Racing World team defended my position and attested that the helmet was recently purchased and there were no signs of abuse (a dropped or impacted helmet will likely leave telltale signs such as deep scratches or dents somewhere.) Eventually, the Japanese relented and agreed to a warranty repair. Only problem now is that Racing World doesn’t have a special tool required to dismantle the helmet to perform the repair, and I would have to wait a couple of weeks for the tool to ship in together with the next shipment batch of helmets from Japan. Three separate incidents with three equally great post-sales service experiences from Racing World. While it’s easy to provide great service at the buying stage, having excellent after-sales service is what makes a customer feel truly valued and what keeps a customer for life. Well done Racing World Singapore! Generally agree with your assessment with their customer service though I didn’t get that kind of service for a similar problem with the Caberg Stunt helmet where a small part of the helmet was loose after less than a week. They tried to fix it but was more like a glue job. Would have preferred a replacement but I would end up with the same problem. I attributed this to lousy design by Caberg and avoided the brand. A year later, went back to trade in the Caberg for the Kabuto RT33. Yeah, I think they strive pretty hard on their customer service level. Bravo to Racing World on that! ← Sunday Morning Off-Road ride to Pontian – Round #2 ← Hello Honda!